Earlier, Khan had triggered a row over the ‘underpants’ jibe at BJP’s Jaya Prada. 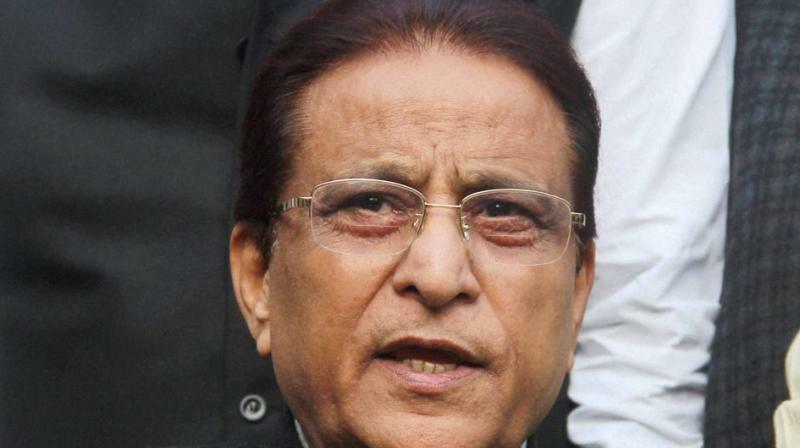 Vidisha: In the latest controversy, Senior Samajwadi leader Azam Khan insulted reporters who were seeking comments from him on the Jaya Prada remark. Khan had reached Madhya Pradesh’s Vidisha to take part in last rites of former Rajya Sabha MP and SP leader Chaudhary Munawwar Saleem. When one of the journalists repeated query on the Jaya Prada remark, Khan said, “Aapke Walid ki Maut Ho Gayi Hai, Usme Aaya Hun (Your father has died, I am here for this)”. The SP leader’s remark on Jaya Prada received reactions from across the political parties. An FIR has been registered against the SP leader and has been booked under Section 509 of IPC for insulting the modesty of a woman.